Should we add to Georgia’s string of serious pipeline accidents (worse than Florida’s) by letting a pipeline company with fines for corrosion and leaks from PHMSA and a record fine for PCB spills from EPA gash an even bigger pipeline through our farms and past our towns, churches, and schools? The data on Florida pipeline accidents in Ichetucknee Alliance’s position paper against the pipeline (the position that got Spectra’s Andrea Grover to say the “preferred” route had moved and “currently” there was no threat to the Ichetucknee River or Columbia County, Florida); that pipeline accident data came from Pipeline Safety Tracker, which finds an even worse pipeline safety record for Georgia: 89 incidents, 7 fatalities, 36 injuries, and $56.3 million in property damage. 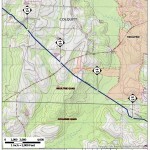 Among those Georgia incidents was one near Albany, Georgia, 29 May 2004, caused by “Environmental Cracking Related” which caused $209,447 in property damage. That could be a concern about a proposed pipeline put in by a company whose employees told federal inspectors it never conducted key test for corrosion. 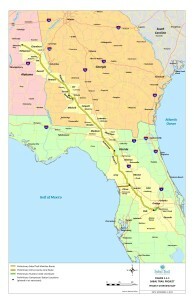 This pipeline would be of no benefit either to our local community or state. Please help us save our land and our community by blocking this pipeline. Lisa C. Eaton, Valdosta, GA. 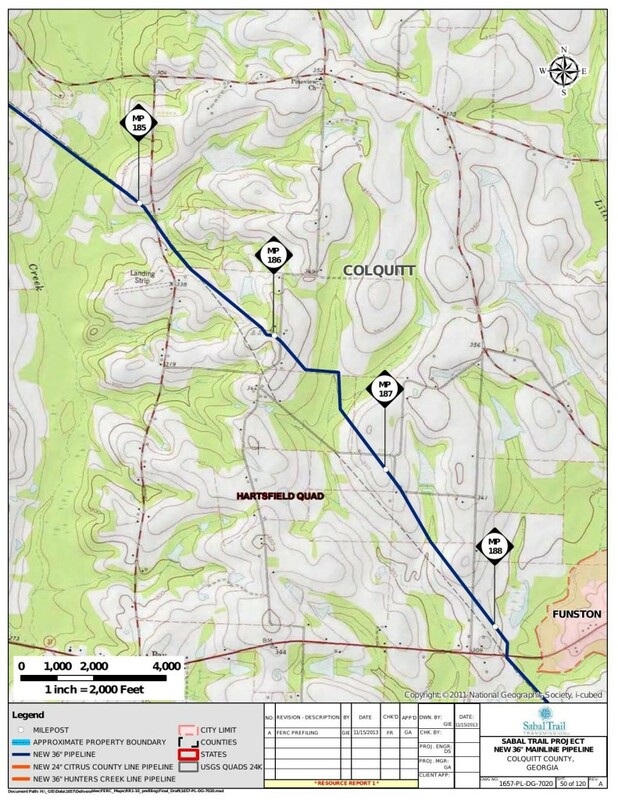 I am a landowner and taxpayer in close proximity to where the Sabal Trail Pipeline (Docket PF-14-1) will be put in place. 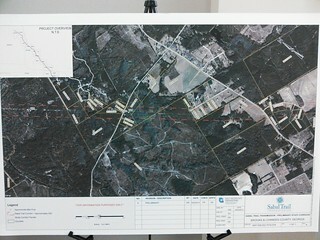 I am opposed to this pipeline going in near my neighborhood. I am opposed to the pipeline on behalf of my neighbors. 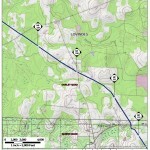 I think that alternate routes are available that will not impact this area in Lowndes County, Georgia. James Rouse Carter, Valdosta, GA. 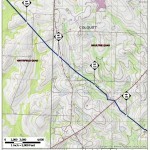 I am concerned on why the pipeline is only going to be buried 36″ deep? 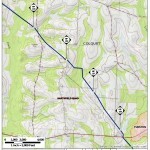 Should not this pipeline be required to be buried as deep as other pipelines in the area? All 50 pages of Beth M. Gordon’s petition to FL PSC of 18 November 2013 on behalf of herself in Levy County, Florida and several other people, in four parts. It includes a transcript of the U.S. House subcommittee that wants to export natural gas. The preceding Saturday she was interviewed in Valdosta by radio host Lee Henderson.